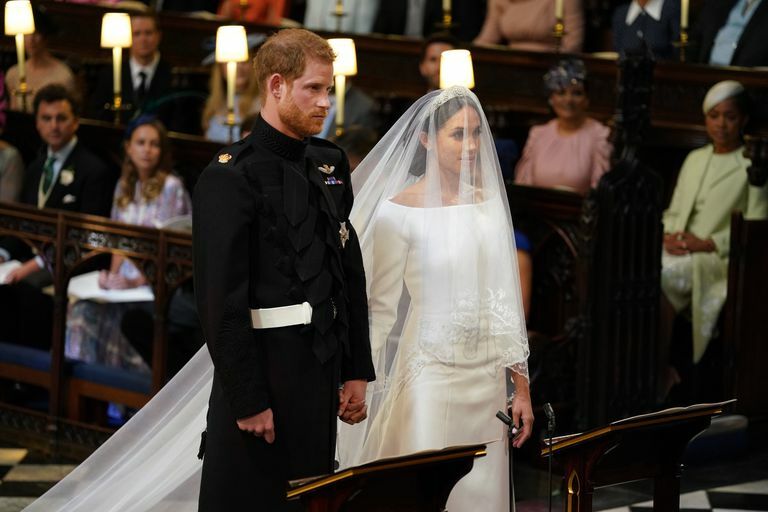 The world couldn't possibly miss the cute little exchange between Prince Harry and Meghan Markle when she joined him at the altar. Then, Prince Harry said to Meghan, "Are you okay? You look amazing." And she does! The American actress-turned-royal wore a long-sleeved boatneck dress designed by Clare Waight Keller. 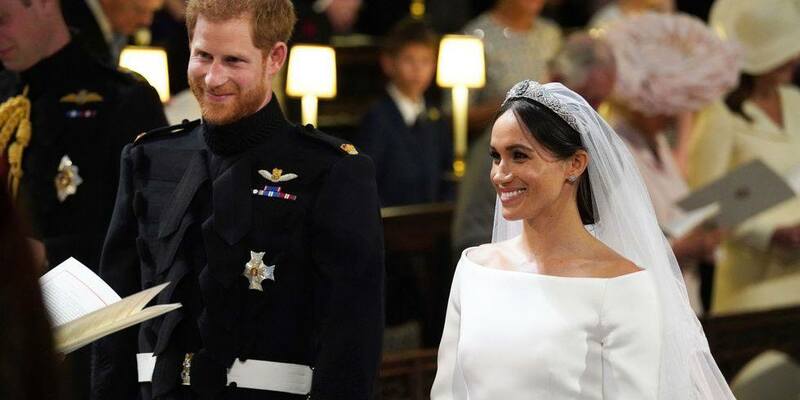 In response to her future husband's compliment, Meghan replied, "Thank you," then posed a question Freeston can't quite make out.